Job Description Mix and measure ingredients using commercial cooking machinery to produce large volumes of product Read, analyse and interpret recipes to ensure ingredients are accurately measured, disbursed and recorded Cutting, preparing and/or packing meals Maintaining stock levels and rotating stock in the chillers and freezer Ensure the designated cooking areas and machinery is cleaned in accordance with areas are kept clean at all times to ensure a safe working environment Candidate traits Can work with CHICKEN, BEEF and PORK MUST HAVE knife hand experience MUST HAVE Machine Operating experience - Demonstrated competency in operating food manufacturing machinery, including set-up and disassembly, in a semi-automated production line. Attention to Detail - Achieves thoroughness and accuracy when accomplishing a task through concern for all the areas involved. 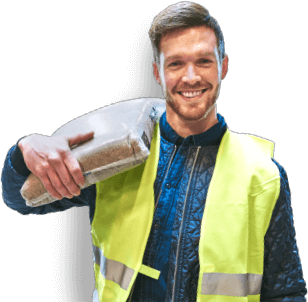 Heavy lifting involved - 10 - 20 kg Safety - Demonstrated total safety focus and adherence to SOP's, Safe Work procedures, GMP and all relevant safety requirements in a food production environment. PLEASE NOTE: you will either be working in a cold room (0 -4 degrees) or a hot room (30 degrees)We are excited to hear from you – apply below or send your resume to sandhini.chaudhary@pivotal.com.au Only suitable applicants for this role will be contacted for an interview.